With another certain franchise taking on the highlighter apocalypse this week, Bethesda has decided to release an awesome new Rage 2 gameplay video to remind players that they too have a lovely pink infused balls-to-the-wall crazy apocalyptic first-person shooter coming soon. We've already seen a fair bit of Rage 2, but the gameplay released today is possibly our most significant look yet at the fast-paced mutant murder simulator. The clip shows off several of the powers players will have at their disposal, along with a healthy dose of frenetic visceral combat, set to the backdrop of a vibrant, hostile open-world. I'm getting some major Bulletstorm and Borderlands vibes from the setting and the hilariously over-the-top powers used to eviscerate the Mad Max-like enemies into giblets. I have to admit, that I was initially on the fence with this one, but the more I see, the more excited I am at the prospect of shooting my way through hordes of punk-reject enemies. Don't take my word for it, check out the action below and let me know what you think in the comments! 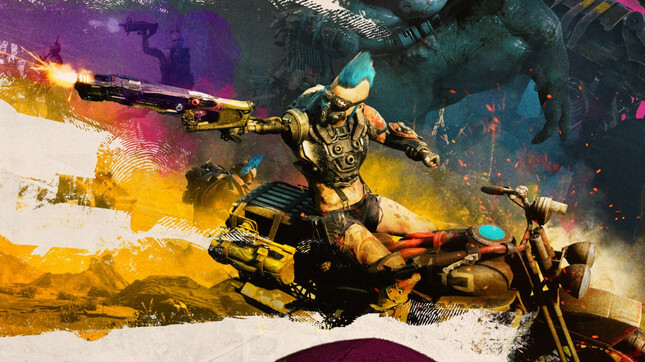 Developed by Avalanche Studios, Rage 2 is set to release on PC, PS4 and Xbox One on May 14.